Ronin is a working K9 with the Sacramento County Sheriff’s Department’s K9 Division. Ann took the reference photo at a fun run event where Ronin and his handler were doing a “meet & greet”. 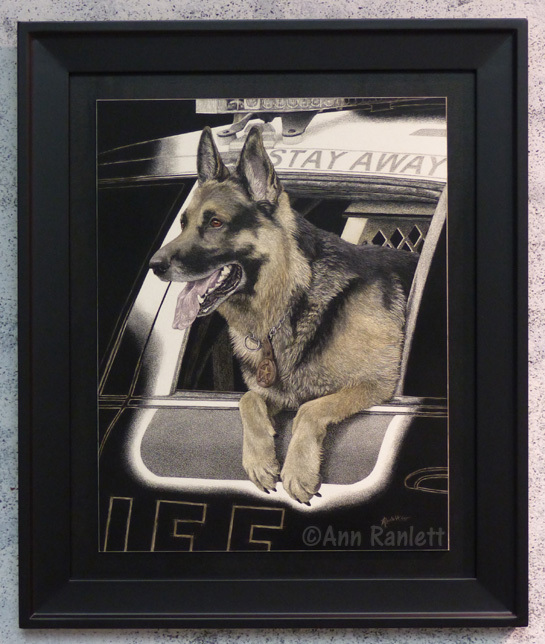 Read Ann’s blog post about this drawing and her meeting with the K9 Division. See the reference photo and a number of stages of this drawing in Ann’s Facebook album. 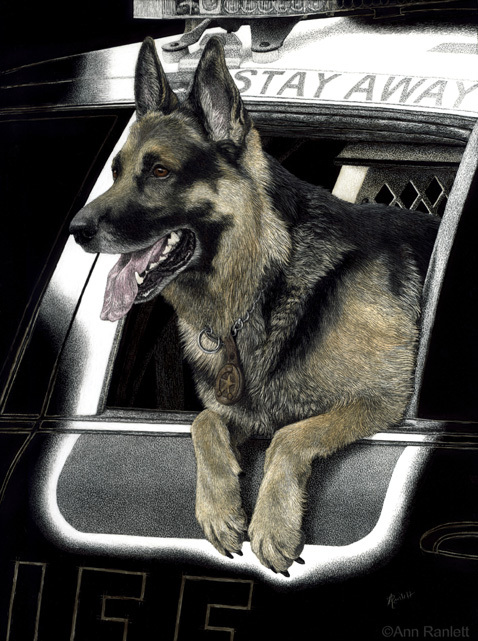 This drawing has been accepted in the 2018 Society of Animal Artists‘ annual juried Exhibition, it received an Award of Excellence at the 2015 International Society of Scratchboard Artists‘ annual juried Exhibition, and 1st place in the Mixed Media/Other division in the Placer Artists League 2017 Open Juried Show. The original is framed and available in Ann’s Shop.